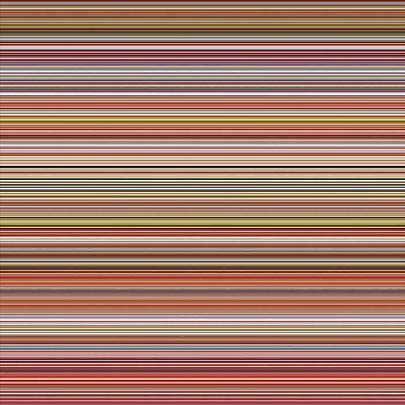 Marian Goodman Gallery is honored to present an exhibition of new works by Gerhard Richter. The opening will take place on Wednesday, September 12th in the presence of the artist. 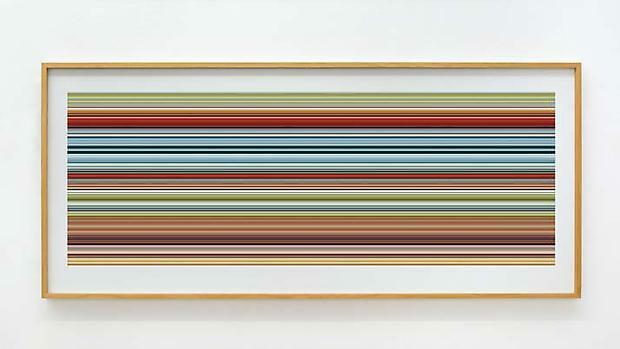 On view in the exhibition will be Gerhard Richter's Strip Paintings, 2012 and a recent sculpture, 6 Standing Glass Panels 2002/2011. 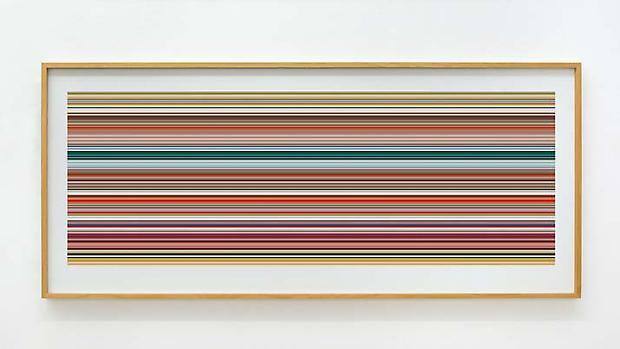 In this exhibition, the artist challenges traditional concepts of the medium of painting and continues the dialogue between painting and the glass works which have been a constant in his work since the mid-1960s. 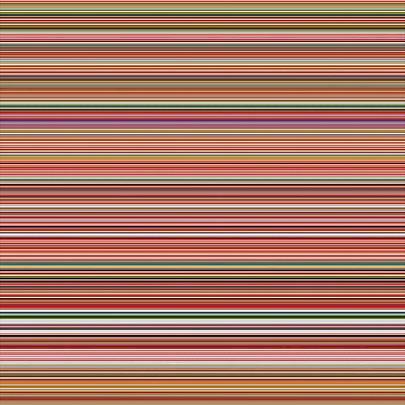 Throughout a remarkable and diverse history which over the past five decades has successfully traversed abstraction and figuration, Richter's embrace of aleatory principles has grounded his investigations of non-intentional processes and has provided a view beyond the conventions of painting. 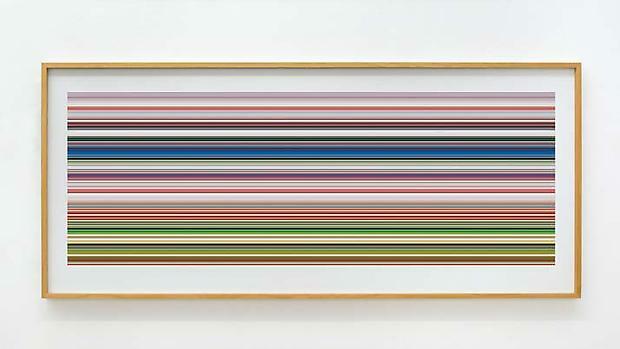 Whether in the mutable reflective surfaces of the 1960s glass and mirror works; the Color Charts of the mid-60s -70s and the later Farben; or, more recently, the stained glass windows of Cologne Cathedral, and the 4900 Colors project (2007), this principle of chance has allowed, at various points throughout Richter's oeuvre, an expansion of aesthetic criteria and an invention of new visual syntax; a chance for the creation of new visual approaches. 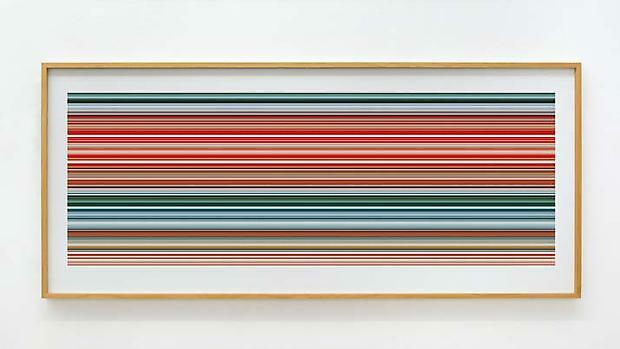 In this exhibition the large scale digital Strips reveal a rigorous system whose point of departure is his Abstract Painting 724-4, 1990, and whose endgame is ultimately his creation of the Strip Paintings. Using his painting as template Richter achieves, with the help of digital software, a complex system of rules for a new game of chance which imposes on the painting an extreme vertical fracturing of the space. 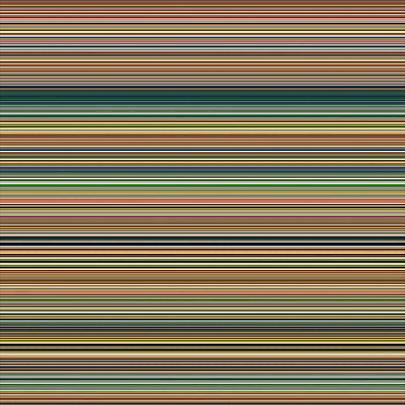 A voluminous limited edition book Patterns* visually documents this digital breakdown of Richter's original painting. 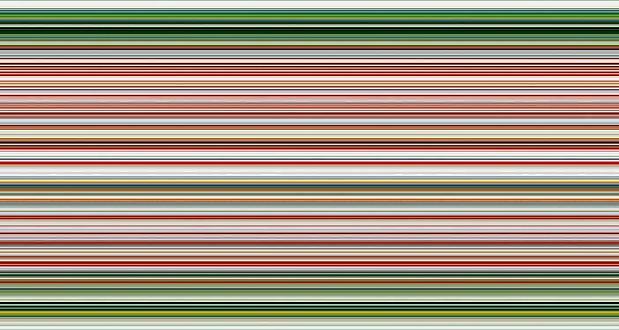 From this volume, one can follow the results of Richter's process in action, which focuses on the many sections of the painting. As his plan develops a life of its own, it generates a process of mirroring, repetition and multiplication of ever more reduced sections, until finally a display of more than 4000 patterns are formed, as if the digital process had now assumed the role of sorcerer. The final steps of this journey of chance produce a focused distillation of these patterns into an ever more linear pictorial plane of 8,190 refined striations, but one of inchoate color and rhythmic alignments. It is here at the end of this digital process that the artist can choose to impose his will on these dissonant relationships, this raw material, in order to create from all this his richly harmonious Strip Paintings. 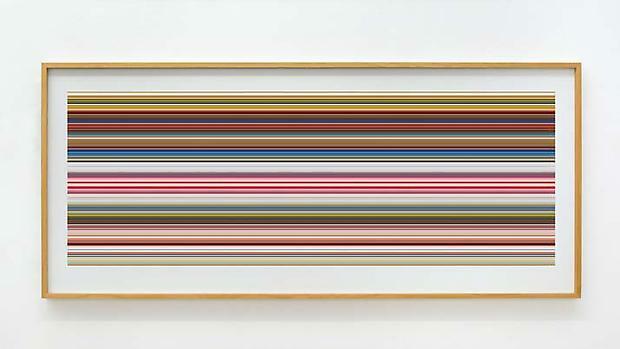 Each of the Strip Paintings is a unique work. 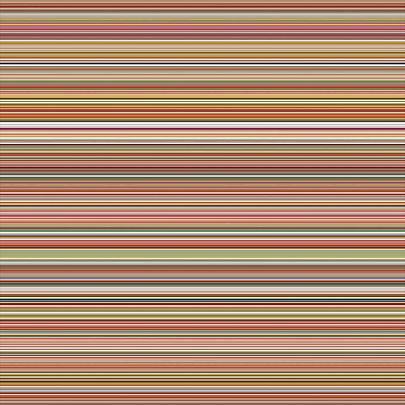 As Richter has said, "Chance is a given, unpredictable, chaotic, the basis. And we try to control that by intervening, giving form to chance, putting it to use." (from an interview between Gerhard Richter and Nicolas Serota, Spring 2011, published in Gerhard Richter: Panorama: A Retrospective, 2011, The Tate, London, p. 27). As Benjamin H.D. Buchloh writes: "The status of painting in these new works is figured as exceptionally fragile, yet it is powerfully formulated in its assimilation to its technological challenges, as though painting was once again on the wane under the impact of technological innovations. 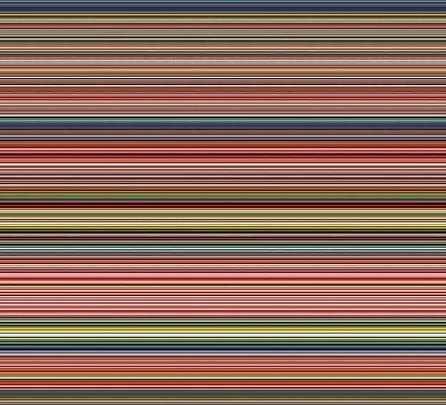 Yet in its application of almost Duchampian strategies of fusing technology and extremely refined critical pictorial reflection, Richter's astonishing new works open a new horizon of questions. These might concern the present functions of any pictorial project that does not want to operate in regression to painting's past, but that wants to confront the destruction of painterly experiences with the very practice of painting as radical opposition to technology's totalizing claims, and as manifest act of mourning the losses painting is served under the aegis of digital culture." The sculpture 6 Standing Glass Panels, 2002/2011 (CR:879-4 ), is made of 6 parallel glass panels assembled in a steel structure. 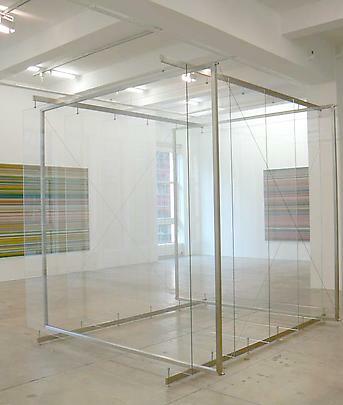 Gerhard Richter first used glass in 1967 in 4 Panes of Glass. This material has become important in his work and, since 2002, the artist has created a series of three dimensional glass constructions, similar to the one presented at the gallery. These works refer to the idea of painting as a window onto the world, or as a mirror reflecting all that is in front. These two aspects appear metaphorically and visually in 6 Standing Glass Panels. By reflecting both the space of the gallery and the visitors the work oscillates between architecture and painting. The current retrospective of Gerhard Richter's work, Panorama, now on view at the Centre Pompidou through September 24th, 2012, is co-organized in conjunction with the Tate Modern, London where it premiered in October 2011 through January 2012 prior to being shown at the Neue Nationalgalerie, Berlin, where it was seen from February through mid-May 2012. 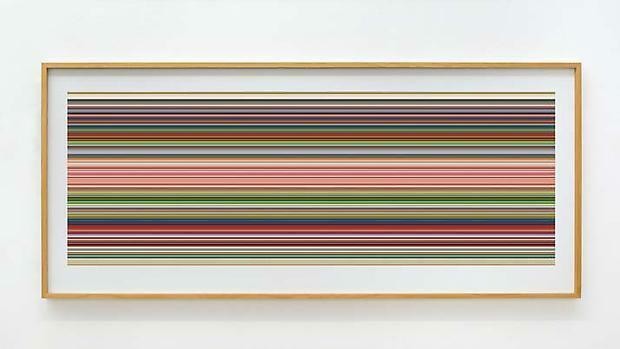 In addition to the current retrospective on view at The Pompidou and the exhibition of Atlas earlier this year at the Staatliche Kunstsammlungen in Dresden, recent exhibitions of Gerhard Richter's work include the touring exhibition Sinopsis / Survey which was presented from 2009-2011 in South America, first in Bolivia and Chile (2009), then in Argentina and Uruguay (2010), and later in several cities in Brazil (2011). His exhibitions in 2011 also include Sinbad at The FLAG Art Foundation, New York and Images of an Era at Bucerius Kunst Forum, Hamburg. In 2010: Elbe at Kunstmuseum Winterthur (Switzerland), and Lines which do not exist at The Drawing Center, New York. 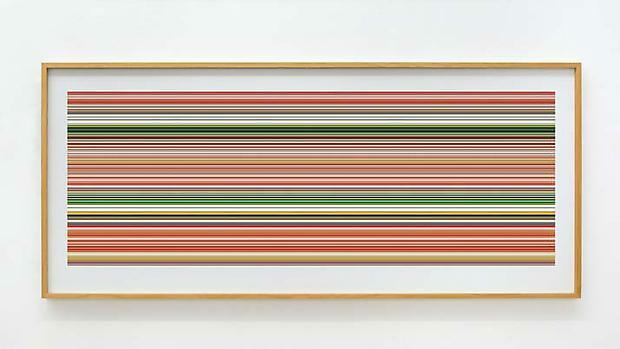 In 2009: a retrospective at the Albertina, Vienna; Portaits at the National Portrait Gallery, London; Richter en France at Musée de Grenoble (France); Abstract Paintings at the Haus der Kunst, Munich. 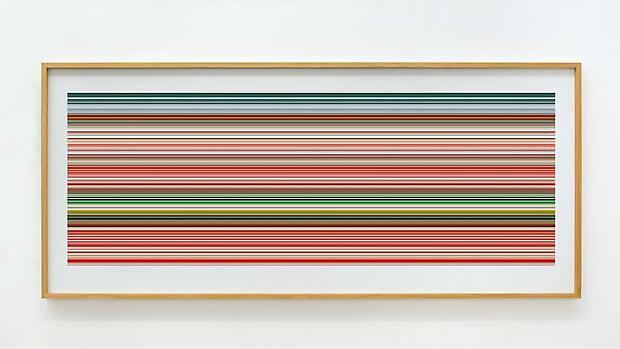 In 2002, The Museum of Modern Art in New York presented the major exhibition 40 Years of Painting, which travelled to the Art Institute of Chicago, San Francisco Museum of Modern Art and the Hirshhorn Museum and Sculpture Garden in Washington, D.C.
Gerhard Richter was born in Dresden in 1932, where he lived until 1961, studying first at the Kunstakademie, Dresden from 1951-1956, and then, later, at the Kunstakademie, Dusseldorf, from 1961-1963. Since the 1960s he has produced a vast and complex body of work. His painting includes figurative as well as pure abstraction, emotional as well as formal. His figurative works often come from his own photographs of daily life. All the documentary sources of his work (newspaper clippings, photos, sketches) are gathered in the encyclopedic work Atlas, constantly enriched and regularly exposed since 1972 and the subject of a recent exhibition at Staatliche Kunstsammlungen in his native Dresden, Germany last February through April 2012. His work has been exhibited internationally and he has received numerous prestigious awards. He participated in Documenta 5, 7, 8, 9 and 10 and in the 36th, 40th, 47th, and 52nd Venice Biennales. He has been the recipient of numerous distinguished awards, including the Staatspreis of the State Nordrhein-Westfalen, Dusseldorf, in 2000; the Wexner Prize, 1998; the Praemium Imperiale Award, Japan, 1997; the Golden Lion of the 47th Biennale, Venice, 1997; the Wolf Prize in Israel in 1994/5; the Kaiserring Prize der Stadt Goslar, Germany, 1988; the Oskar Kokoschka Prize, Vienna, 1985; the Arnold Bode Prize, Kassel, 1981; and the Junger Western Art Prize, Germany, 1961. A catalogue, PAINTING 2012, with a new text by Benjamin H.D. Buchloh will be published on the occasion of the exhibition. Please join us on the occasion of the opening of the exhibition on Wednesday, September 12th from 6-8 at the Gallery. * Patterns was published by Walther Konig in Cologne and Heni Publishing in London in 2011.